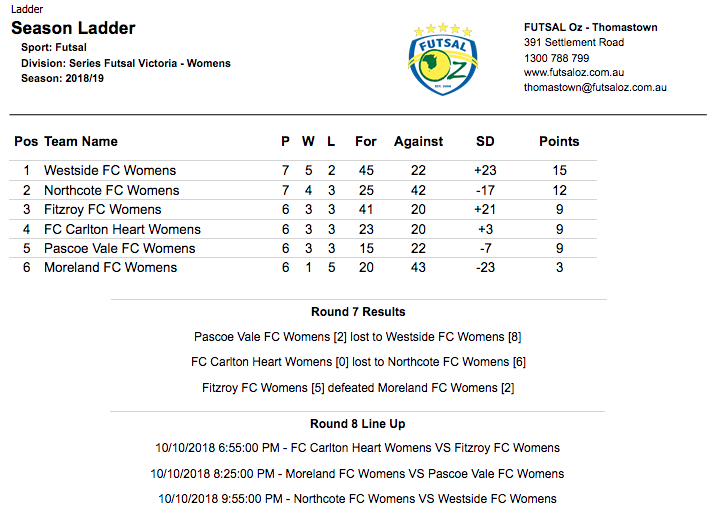 Our first game of the evening saw Pascoe Vale face ladder leaders Westside. In a must win for both sides, it was Westside who took the lead early through Penny Bakopoulos, before they doubled the advantage as Elly Torre won the ball off the keeper and walked in the second. Pam Demetriou came off the bench and had an instant impact finding the net and extending the lead to three as Westside were pulling away. 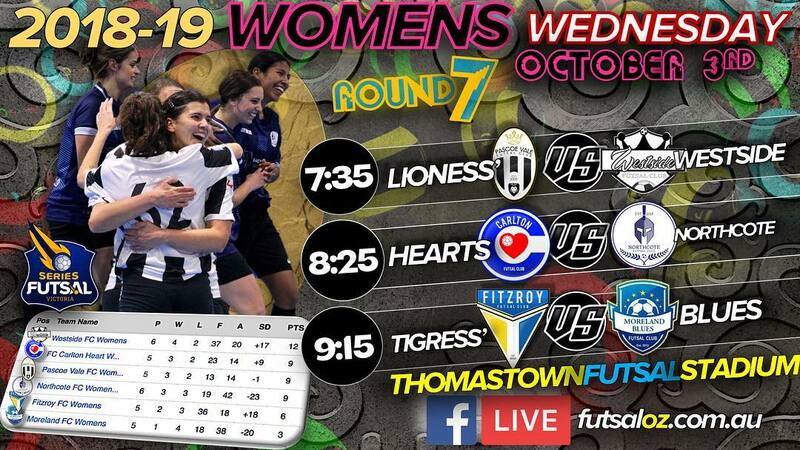 Pascoe Vale pulled a goal back through Evangelia Parthimos to remain in the hunt, but fell further behind when Demetriou put away the fifth of the contest. A ball flashed across the area from Westside was deflected in for an own goal from Abbey Flight as the game was beginning to get away from Pascoe. 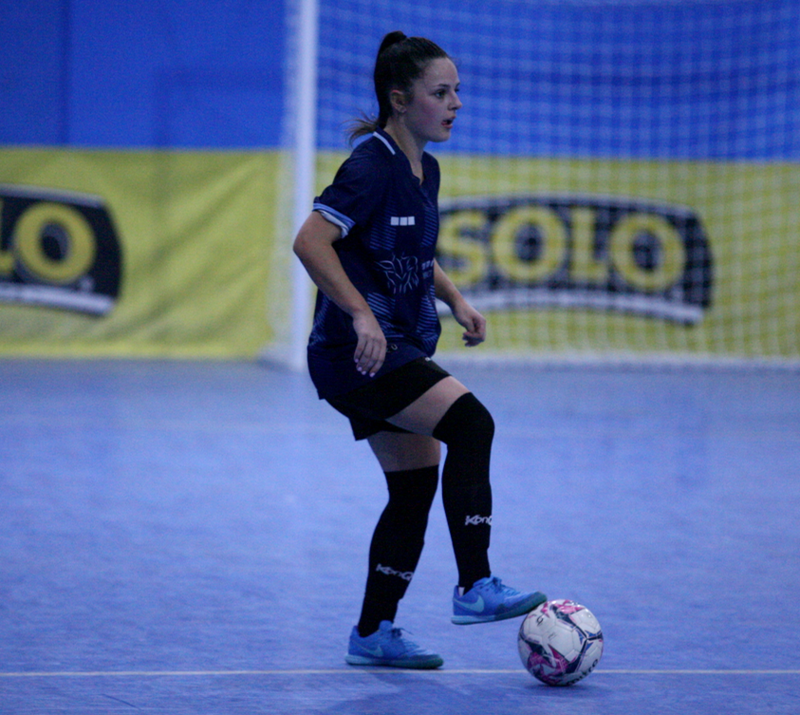 Some good pressure late on from Anita Odd saw were win the ball off Christina Fonua and pass into an empty net to have Pascoe trailing by three goals at the half time break. Early in the second half Westside picked up where they left off adding another goal through Lisa Fonua to open up a four goal gap and all but seal the game. Lisa Fonua then struck the goal of the night as she picked out the top corner from beyond half way. Some good pressure from Torre late on saw her win the ball before going one on one and finishing to seal another emphatic win for Westside as they assert their dominance on the league. Next up we saw Carlton who were coming off two straight defeats face a Northcote side who were in red hot form. A tight first half saw Northcote grab two early goals through Daniela Gudelj as they carried that lead into the half time break. 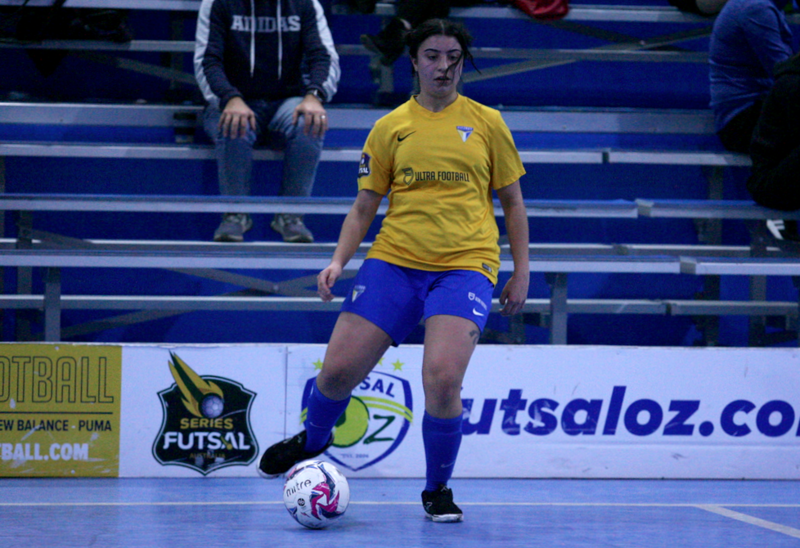 Northcote continued to fire in the second half as they added a further four goals with Gudelj getting another two as well as two screamers from Daniella Galluccio & Claudia Dimasi rounding out a convincing win. Despite the big scoreline Carlton had their chances, but could not find the net as they fell to another defeat. Our final game of the night saw Fitzroy take on Moreland who amazingly sat bottom and second bottom of the league. After Fitzroy dominated the play early, it was Moreland who struck on the break as Emma Hubbard finished it off at the back post. Fitzroy drew level as Stacey Papadopoulos picked out the top corner as we went into the half time break locked at 1-1. Moreland would again take the lead via a counter attack as Zoe Tizard finished at the back post to restore the Blues advantage. Fitzroy would draw level for a second time as Em Coppock headed one home, before Sarah Richardson found the net via a free kick to give them the lead for the first time. 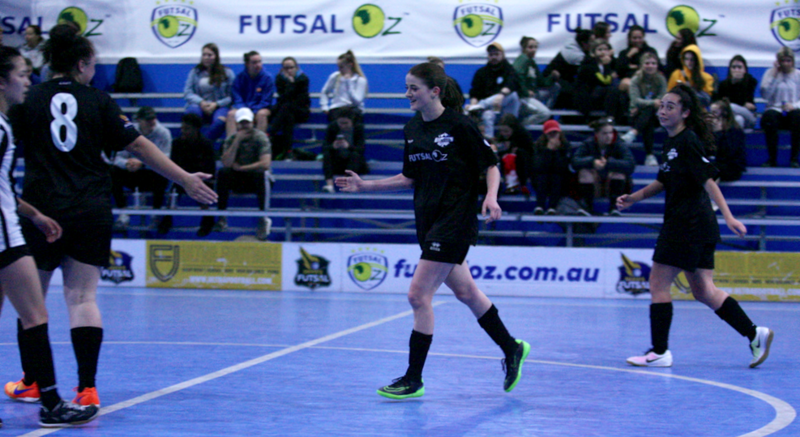 Dharma Georgi would give the Tigers some breathing space as she toe poked home from around ten meters, before Georgi iced the game finishing a rebound to give Fitzroy their first win since Series Futsal Australia.